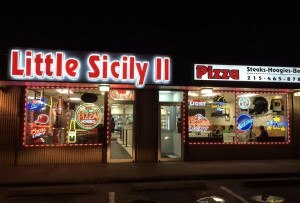 The new kid on Malvern's shopping block. By Emily Goulet·	 3/3/2015, 3:14 p.m. The Blue Octagon’s splashy, pattern-happy interior. 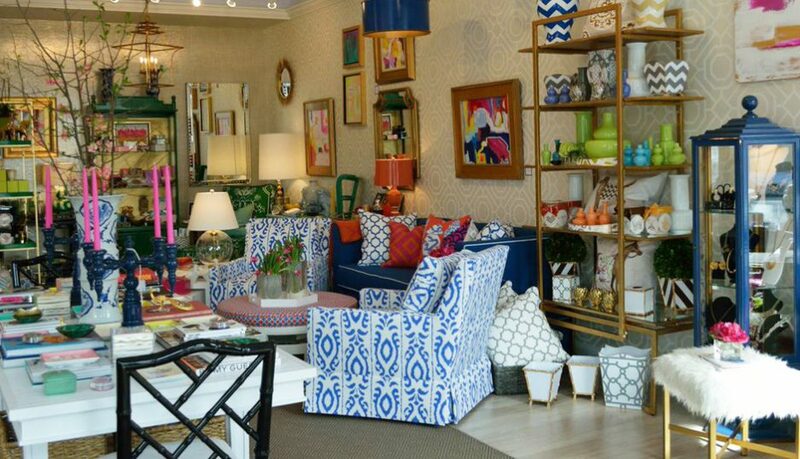 The latest addition to the Main Line shopping scene is The Blue Octagon, a home and gift shop at 335 East King Street in Malvern. The boutique, which officially opened on February 25th, is sensory overload, piled with patterns, bright colors and flashes of crystal and gold. 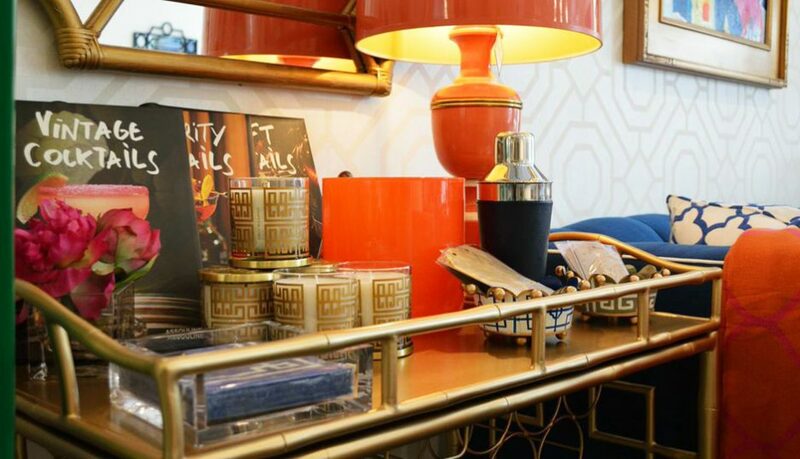 It’s all the work of interior decorator Krissa Wichser, who stocks her new shop with furniture, home accessories and gift items from lines including Jonathan Adler, Bungalow 5 and Society Social. 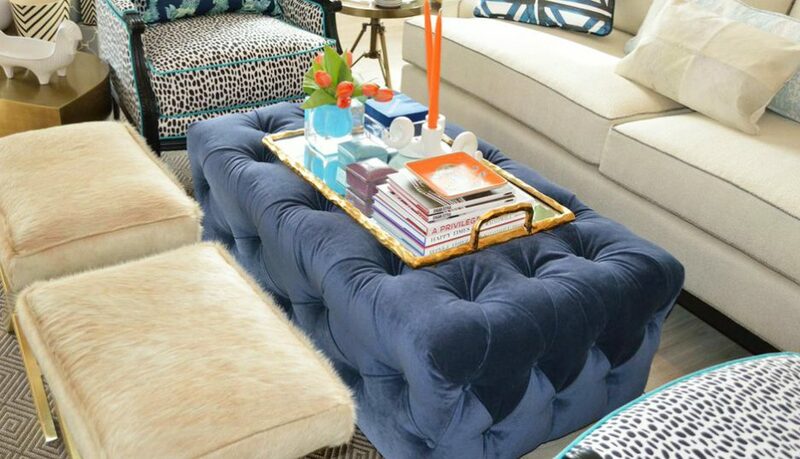 It’s a whimsical mix of Palm Beach prep (bright chevron vases), part mid-century (Lucite tables), part glam (tufted velvet ottomans) and part culturally eclectic (Moroccan poufs, Chinese Foo dogs). But good news for those easily overwhelmed by an abundance of inspiration: Wichser also offers flat-rate and hourly design consultations. An overview of the store. 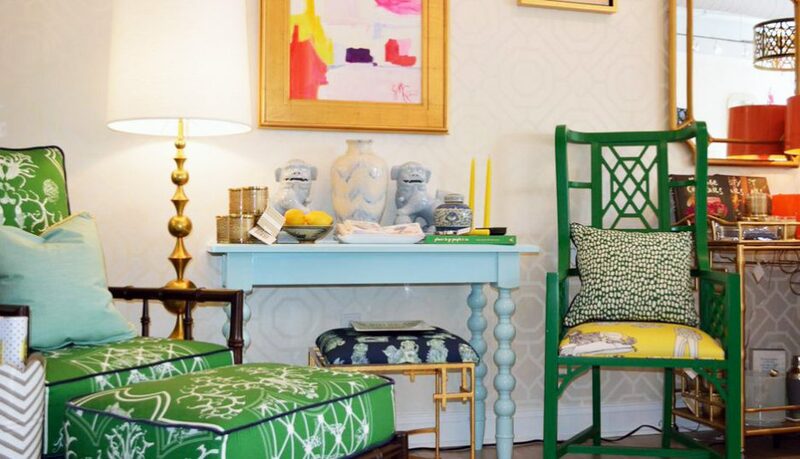 Brightly upholstered furniture shares space with giftable smalls, like candles and books. 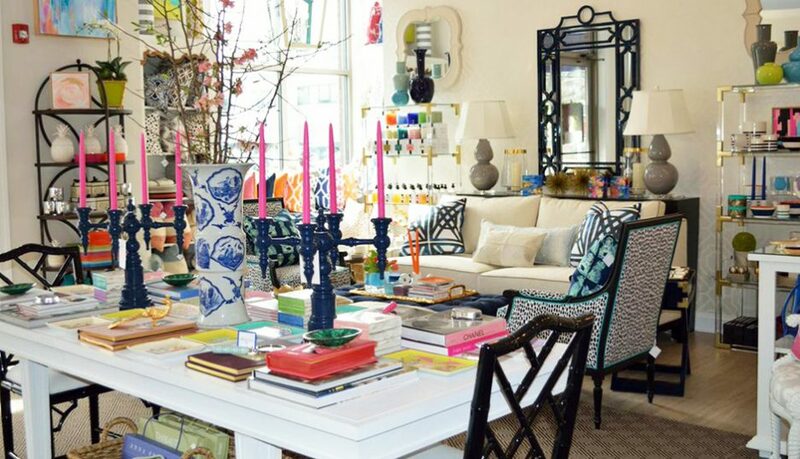 Tabletop goods and a hefty assortment of posh Assouline coffee table books. 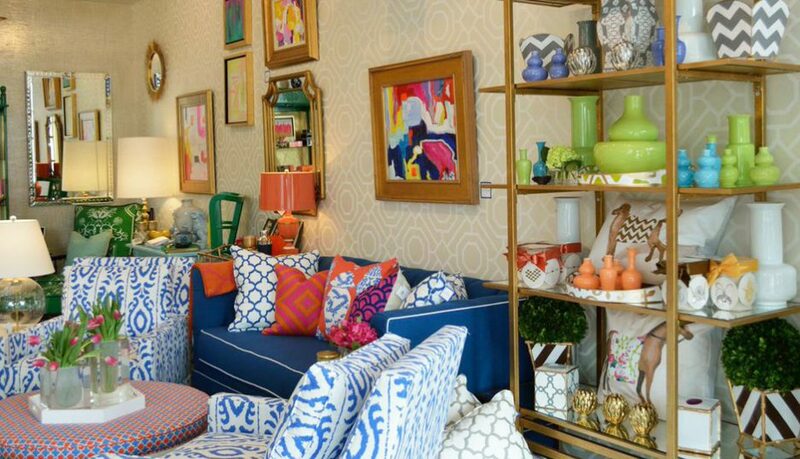 Bold throw pillows and wall art. The perfect bar cart setup. 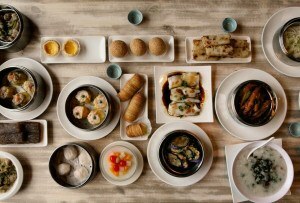 The Details: The Blue Octagon, 335 East King Street, Malvern, 610-640-2684.